Imagine you’re a boutique firm with a unique mission and 90-year track record of client service (no, that’s not a typo). You’ve decided it’s time to raise the bar … again. The virtual world has changed the game for most of your clients and you need to help them make the most of it. You’ve also just set some aggressive growth targets and your company won’t get where it needs to unless your leaders boost their selling and influence skills. But can you do that in a way that’s consistent with who you are and what you believe in? Yes, you can. “Charlie answered the phone himself from a New York deli. He said, ‘If you give me just a minute to finish buying my bagel and coffee I’d love to speak with you.” We talked for about thirty minutes. Charlie recommended I talk to Andrea. Grizzard employees are as devoted to their clients’ missions as their clients are. Grizzard’s target market is not-for-profits. They’ve raised billions of dollars for some of North America’s most beloved charities over the years, including the Salvation Army and American Red Cross. They also do work for animal shelters, healthcare, and rescue missions. Grizzard employees are as devoted to their clients’ missions as their clients are. You get a real sense of purpose and passion when you talk with them. They know they’re making the world a better place. Grizzard is a fourth-generation, family-run operation that is over 90 years old. They’ve got staying power. And they’re big enough to have the resources to get the job done, while still small enough to care about building real relationships with their clients. An effective sales training program would have to be consistent with Grizzard’s culture, philosophy, and approach to client service. There’s never been a doubt that Grizzard is a company built on solid relationships—inside and outside the firm. The Salvation Army, for example, has been a Grizzard client for over 65 years. (That’s not a typo either.) One of the ways you get this kind of track record is by recognizing that the bar can always be raised—and then consistently raising it. 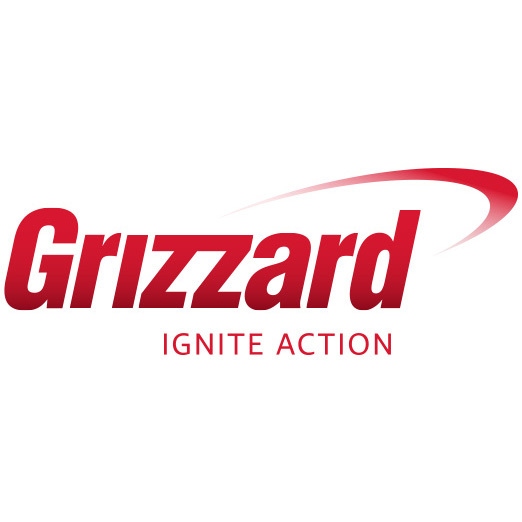 Grizzard wanted a sales training program that was, first and foremost, consistent with its values and principles. Be more influential with clients facing today’s unique challenges, such as the uncomfortable reality of the virtual fundraising world. We agreed on a two-day Trust-Based Selling program for the top 35 leaders in the firm, including Grizzard’s CEO and President. What began with one immersion workshop has evolved into a four-year partnership (and counting). The results far exceeded expectations and generated a real buzz across the firm. To help make the learning stick, we asked eight key leaders to serve as internal coaches for 90 days after the session. “I’m a big believer in repetition. Anyone can put on a program, anyone can stand up and deliver assuming they have basic skills, but if you want to ingrain something into the culture of your organization you’ve got to reinforce it again and again and again. So the following year we developed a one-day Trust-Based Selling program designed to reach more people. With associates and offices on both coasts of the United States, involving more people was a challenge. “It was cost-prohibitive to fly dozens of people from Los Angeles to Atlanta, so we got creative. We brought about 45 Atlanta-based people to the Hard Rock Café, plus Andrea. “The second year we modified using more Grizzard-specific scenarios, including very practical, tactical discussions about how we could apply trust-based selling best practices within our teams. So one year after the session at the Hard Rock, we reconvened (same place, same format) for workshop #3: another one-day workshop for Trust-Based Selling alumni (as well as those new to the firm in client-facing roles)—this time with a twist. Having 70 leaders fully skilled in the trust-based selling approach made it possible to focus even more on practical application. “We wanted to up the ante this time in a big way—and that’s exactly what we did, with remarkable results. We asked each of our account teams to turn in a brief but well-written case study—live stuff that our sales and service teams were working with on a regular basis—to be used during the program. Andrea took those case studies and crafted a totally customized day-long program, centered around people working in teams on these very real issues. Working with targeted teams at a critical time took the program to a whole new level. “We worked with Andrea to set up a virtual coaching program for two teams working some of our biggest accounts. Each team had homework: first, to document and turn in ‘here’s a client issue I’m dealing with right now.’ Secondly, each team member was asked to reflect on key questions about the case, choosing someone outside the team to use as a sounding board. Getting even more laser-focused—by working with targeted teams at a critical time—took the program to a whole new level. “We’ve invested a lot of time and money in this program over the past several years. And when I step back and think about it, it’s been a relatively small investment for some pretty big payoffs. Client satisfaction. Client retention. Employee engagement. Buzzwords to some, but to Grizzard, these are real outcomes of our work together. Gary and Andrea’s partnership has paid off in unexpected ways, too. They’ve become regular co-presenters at the annual Society for Human Resource Management (SHRM) mega-conference <link to video>. They got rave reviews from the 600+ people in their breakout session last year. Talk more—with Gary or with us—about the work we’ve done and how it might apply to you.